Happy 2017! It’s been almost a year since I started this blog and it’s about time I started writing more regularly. This is going to be a fairly chatty post with a quick life update and my aims for the coming year. 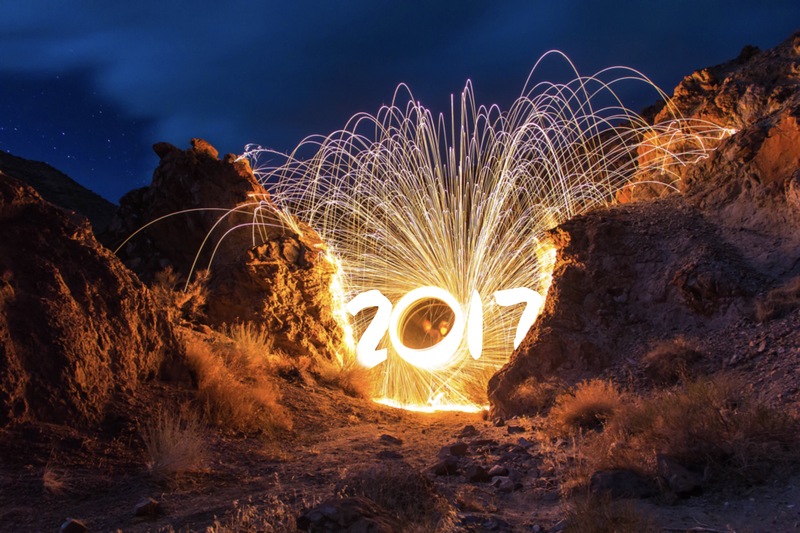 I say aims rather than resolutions, as I don’t really believe in New Year’s resolutions as such – the changes I want to make are long-term not just for 2017 and I don’t plan to stop them if I have a few hiccups along the way. My main aim is to be more positive. This is hard for me in my current state of mind, but I’m doing my best to focus on the good in my life. To this end, my 2016 update is going to be pretty short. Since I last posted, I’ve been getting out a bit more and doing pretty well at battling my OCD. Don’t get me wrong, I’m by no means cured, but I’m coping fairly well. I’ve started to reconnect with friends I’ve barely seen during the worst parts of my illness and I’m looking forward to the future. My biggest news is that I’m engaged! My boyfriend finally proposed on Christmas Day by hiding a note in a present on the tree. It may have taken a bit of coaxing (think the idea of marriage scares him a fair bit) and a threat that I’d wear the ring on Christmas Day anyway if he hadn’t asked by then (he bought it for me back in October but wanted to ask properly), but he seems really happy with the whole idea now so I’m actually glad he didn’t propose earlier because of pressure from me. We’ve been together ten years and, whilst he knew marriage was important to me, he didn’t think a wedding would change anything other than our stress levels whilst organising it. I didn’t want to feel like he was just marrying me because it was something I wanted, but the little comments he keeps making such as “well we have a lifetime together for so and so” tell me something in his mind has changed slightly since our engagement even though he thought it wouldn’t, and reassure me that he’s happy. Going back to the title of this post, our ten year anniversary having just passed also means it’s almost ten years since I was diagnosed with OCD. I’m incredibly lucky that I met my fiancé just before I started to become ill, as I don’t think I’d be here now without his love and support. I can’t fathom how I made such an amazing impression in the first few months with him that he fell in love with me strongly enough to stand by me through such a debilitating illness, but I will forever be grateful to him that he did. I’ve had ups and downs since my diagnosis, but the past few years have felt like wading through quicksand in an OCD-bubble with friends and family flying overhead and leaving me behind. Things have barely changed, time’s slipped by too quickly and I feel as though I’ve been surviving rather than living for far too long. The fact I’ve had my fiancé in the bubble with me breaks my heart, as he’s sacrificed nearly a decade of his life helping me get better. I’m determined not to let OCD take any more time from my life. It isn’t as simple as flicking a switch so that I don’t have OCD anymore – I wish it was. There will be bad days when I don’t feel positive, days when motivation just isn’t there, and days that are hard work to get through, but I’m going to do my best to fight even harder than I have been doing for my life back. Living with OCD becomes a vicious circle of rituals, depression and anxiety, and, whilst I know those won’t go away over night, I also know they can be fought with enough energy and patience. My first step towards recovery is doing the hormone balancing detox I tried a few months ago again, but this time for longer. I’ll write a post about this later, but it’s basically an attempt to get rid of the monthly dizziness that I’ve had for over a year. It involves a lot of healthy foods so once I’m over the sugar withdrawal it should start giving me plenty of energy and making me feel generally better. I did the detox for about a week last time and it did help for a couple of months afterwards, but I’m going to try to do it for at least a month this time in the hope the effects will be longer-lasting. As I mentioned above, I’ve started reconnecting with friends I’ve barely seen since my serious relapse in 2012. Visiting friends has been pretty terrifying and going out in general has been exhausting. However, I’m doing my best to focus on the fact I miss my friends, and so going to see them is worth the anxiety that goes with getting ready and going to new places. I’ve bought new trainers so that I can start running again, which I’m planning to do in the next couple of weeks. The goal of looking nice in a wedding dress in the summer is helpful motivation! My fitness levels are non-existent so I’ll be digging out the wii fit first so that I don’t collapse on the streets or end up injured. The trainers will need breaking in with a bit of walking anyway so a few Pokemon-fuelled walks will be in order too. Why am I writing out all these random thoughts and aims? I’m hoping that having made these promises to myself in writing will make it harder for me to give up on them when the going gets tough. If I don’t write on here again for another few months it’s probably safe to say that didn’t work. Whether Leo makes a few appearances is a different matter.